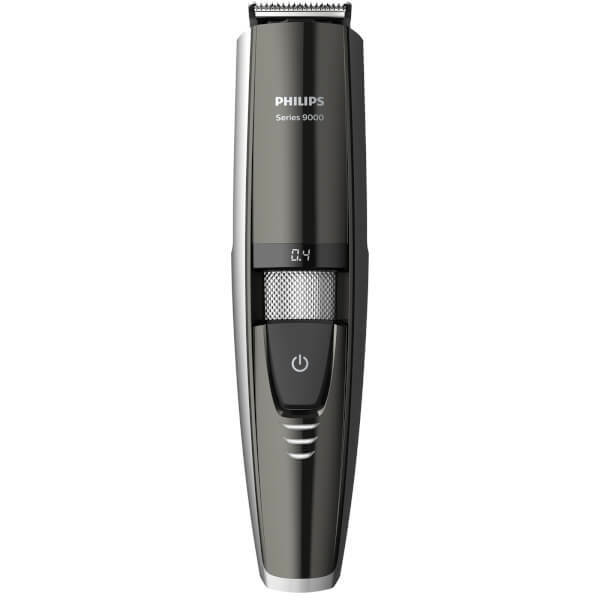 Look sharp with the Philips Series 9000 Laser Guided Beard Trimmer for Precise Symmetrical Beards BT9297/13. 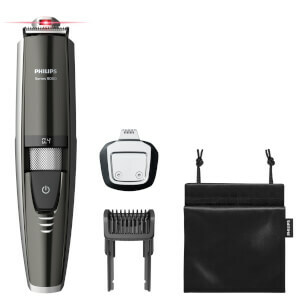 Programmed with a laser guidance system, the waterproof beard trimmer paves the way to sharp, accurate, symmetrical results. 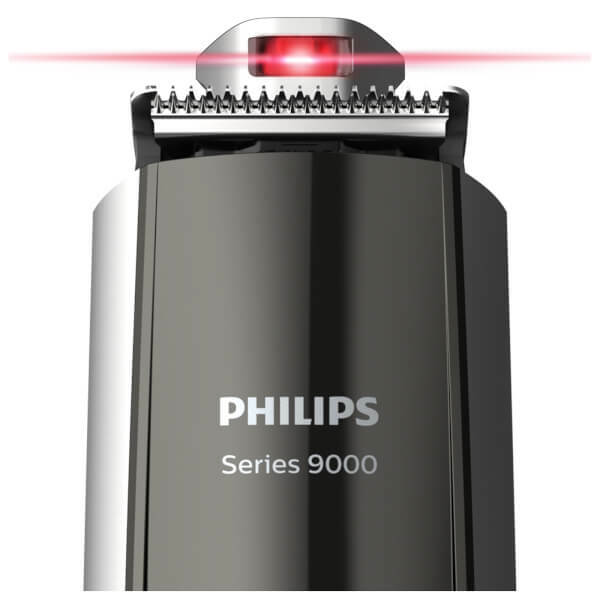 Thoroughly tested and proven safe for home use (and not harmful to eyes*), the trimmer projects a thin beam of light to help guide the cutting process; simply follow the red line for precise results. Equipped with extra-strong, double-sharpened, stainless steel blades for durability, the trimmer is able to cut through even the thickest hair, and sharpens itself while you trim. The blades lightly brush against each other to stay sharp and effective. Delivers a precise, even cut from 0.4mm to 7mm, and features a zoom wheel to select and lock in the length you want. Powered by an advanced Li-Ion battery that delivers 80 minutes of cordless use after a one hour charge. Can be used cordless and corded. *It is a Class I laser guide, which complies with IEC60825-1. Nevertheless, we advise you not to stare into the light and to avoid shining the light directly into your eyes.